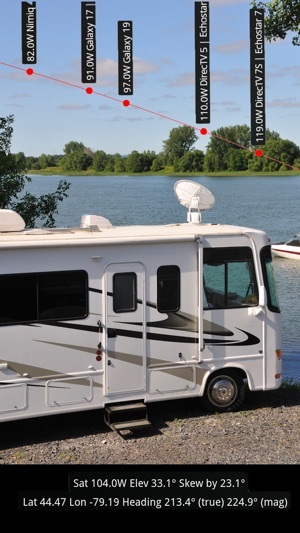 Point your phone towards the sky and see on the live camera screen where the satellites are, any line of sight (LoS) issues by trees or buildings and the look angles. 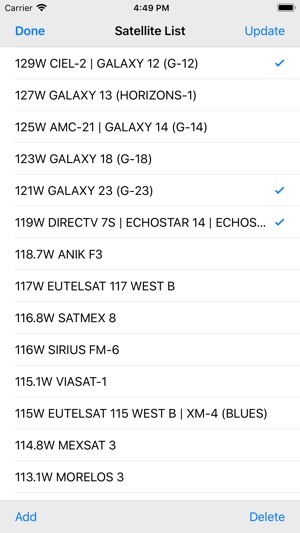 Couldn't be easier to install your dish with this augmented reality satellite finder. As a professional installer said: "Invaluable, gets the job done in half the time"
BusinessWeek: "Best iPhone Augmented Reality Apps for Business - Tracking Satellites in Space - DishPointer AR Pro"
Wall Street Journal: "An enterprise app"
Tele-Satellite: "Award winning DishPointer App: It's never been this easy to check satellite reception"
Why get the Pro version? 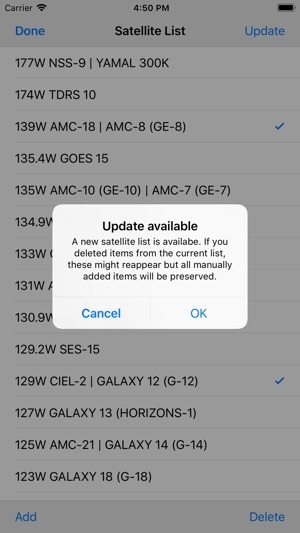 + Add your own satellites to the list, update them whenever you want - complete independence when satellite positions change or new ones appear - no need to wait for an official update. For business critical missions a must. +Be on the safe side for future updates and new features. Pro version always take priority over the standard version. 2. In camera mode, look at the bottom label and rotate iPhone until it heads towards south (true heading = 180°). (People located on the southern hemisphere should point the iPhone north). 5. Compass is sensitive to interferences but and works best when device is held flat. 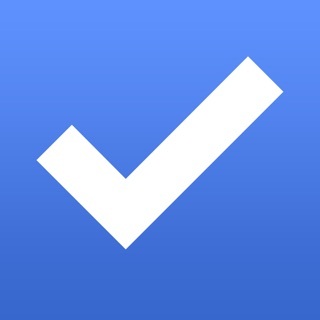 You can lock the compass in that position and lift the iPhone up but don't move it laterally then. NOTE: The app does not require Cell or internet, works on its own. If you have any problems or feedback, please drop us a line at support@dishpointer.com. We are anxious to make this product work perfectly for every one of you. Thanks for all your feedback. There was a small bug in the last update which we fixed now. Keep sending us your comments please. If you haven't done so, please update the app - it's fully iOS 11 compatible now. New exciting features and regular updates coming soon.